APAM held its Annual Scholarship Fund Golf Outing on Wednesday, August 15, 2018 at Bucks Run Golf Club in Mt. Pleasant, Michigan. 31 teams participated in the outing this year and we had yet another great day for golf! There were many great conversations amongst industry friends and associates. This year's winning team, with a 56 was sponsored by Stoneco; Ben Schmittling, Dennis Kotevski, Jason Rivard and Paul Cuthbert. The 2nd place team, with a 57, sponsored by Rieth-Riley; John Boven, Mark Warren, Jeff Kocsis and Jason Huyser. This year's 50/50 winner took home $460.00! Special Thanks to all our sponsors! Beverage Sponsors: AIS Companies, Cadillac Asphalt, LLC, Edw. C. Levy Company, Meeker Equipment Company, Michigan Paving & Materials Co. and Stoneco. Hole Sponsors: AIS Companies, Asphalt Materials, Bit-Mat Products, Cadillac Asphalt, LLC, Central Asphalt, Inc., Constellation Energy, Edw. C Levy Co., Ferris State University Construction Institute, Give "Em A Brake Safety, Michigan CAT, Michigan Paving & Materials Co., Ontario Trap Rock, Rieth-Riley Construction, Stoneco and Superior Asphalt, Inc. Courtesy Bag Sponsors: AIS Companies and Michigan Paving & Materials Co.
Silent Auction Donations: Seneca Petroleum (Detroit Lions Tickets) and Central Asphalt, Inc. (Buck's Run 4 Person Pass). These donations raised an additional $800.00 for the Scholarship Fund! This year approximately $11,800.00 was raised! That is an awesome amount and APAM will be able to award many scholarships this year! We thank you for your continued support to the Scholarship Program. See you next year! Scholarship Applications can be found on the APAM website. The scholarship program provides funding for undergraduate or graduate students. Applicants must be U.S. citizens and enrolled full-time at an accredited four-year college or university or two-year technical institution in Michigan and interested in pursuing a career in the HMA Paving Industry. Deadline for submittal is October 23, 2018. Be sure to spread the word to anyone you think could benefit from these scholarships. There is still time to get your 2018 Asphalt Paving Awards nominations in! The North Region Deadline is Wednesday, October 10, 2018 and the last deadline for the "All other Regions" (Bay, Grand, Metro, North and University) is Wednesday, October 17, 2018. The APAM/MDOT Nomination forms are available on the APAM website. Be sure to save Thursday, December 6, 2018 and plan to attend the Awards Banquet at the Kellogg Hotel and Conference Center in East Lansing. Battle Creek, Michigan. Make sure to save the date! Gov. Rick Snyder recently announced the pending retirement of Kirk Steudle, director of the Michigan Department of Transportation, effective October 31, 2018. Mr. Steudle has been the department director since 2006. He was the first cabinet member from the previous administration that Gov. Snyder asked to stay on. Steudle helped oversee numerous innovative approaches to transportation safety and improvements. Among these were performance measures on road projects and first-in-the-nation asset management principles. Under Steudle's strong leadership, MDOT played a significant role in launching MCity and the American Center for Mobility, establishing Michigan as the go-to resource in the United States for autonomous and connected vehicle research and development. Click here to view the Governor's news release. APAM offers our congratulations to Director Steudle on a long and very successful MDOT career, and we wish him all the best in his future endeavors. The Michigan Department of Transportation (MDOT) has named longtime leader Tony Kratofil chief operations officer (COO) and chief engineer. He is succeeding Mark Van Port Fleet, who is now MDOT's senior chief deputy director. Kratofil has been with MDOT for 26 years, the last nine as head of MDOT's Metro Region in southeast Michigan, covering Wayne, Oakland, and Macomb counties. Kratofil has a Bachelor of Science from the University of Michigan and a Master of Science in administration from Central Michigan University. He is a licensed professional engineer in the state of Michigan. Click here for press release. MDOT has also announced the appointment of Mr. Paul Ajegba, PE as the new Metro Region Engineer for the Michigan Department of Transportation. Mr. Ajegba holds a Bachelor of Science Degree in Civil/Structural Engineering from Prairie View A&M University, and a Master of Science Degree in Construction Engineering and Management from the University of Michigan. He is a Licensed Professional Engineer in the State of Michigan. Paul has over a decade of transportation leadership experience, most recently as MDOT's University Region Engineer, and previous appointments as the Metro Region Deputy Region Engineer and Manager of the Oakland Transportation Service Center. He also previously served as Chair of the Board of Directors of the Ann Arbor Transportation Authority. Project Description: CS78012 JN 116377 & 129885: 1.90 miles of reconstruction and realignment on US-131 from William R Monroe Boulevard north to the Rocky River in the city of Three Rivers, St. Joseph County. ACTION: Approved withdraw of this project from the list of APBs and it will follow the normal life cycle cost analysis (LCCA) process, subsequent to the meeting with the supplemental information provided by Ben Krom on the preliminary LCCA analysis. The EOC will receive a recommendation from CFS by no later than November for selection of a substitute non-freeway APB project. Dr. Audrey Copeland has been appointed as the next President/CEO of NAPA. She will succeed Mike Acott at NAPA's Annual Meeting in January. Since joining NAPA as the VP for Engineering, Research & Technology in 2012, Copeland has grown the NAPA engineering team - attracting and retaining high-quality staff who are experts in their fields - and served as the technical lead for more than $2 million in Pavement Economics Committee research projects. Copeland, who started her career as a highway engineer with FHWA, earned a PhD in Civil Engineering from Vanderbilt University in 2007 and Master and Bachelor of Science degrees in Civil & Environmental Engineering from Tennessee Technological University. APAM members Superior Asphalt Inc. and Gerken Materials Inc. were honored recipients of Operational Excellence Awards during the NAPA Midyear Meeting in Boston. "NAPA members strive for excellence beyond constructing high-quality asphalt pavements. The five categories of the Operational Excellence Awards - Asphalt Operations Safety Innovation, Community Involvement, Ecological, Outstanding Brochure, and Outstanding Website - recognize a company's commitment to operations that make them good contractors, good industry ambassadors, and good neighbors," said NAPA Chairman Craig Parker. Superior Asphalt Inc., of Grand Rapids, Mich., is the winner of the 2017 Ecological Award. The Ecological Award recognizes asphalt plants whose streamlined production facilities improve productivity and safety. 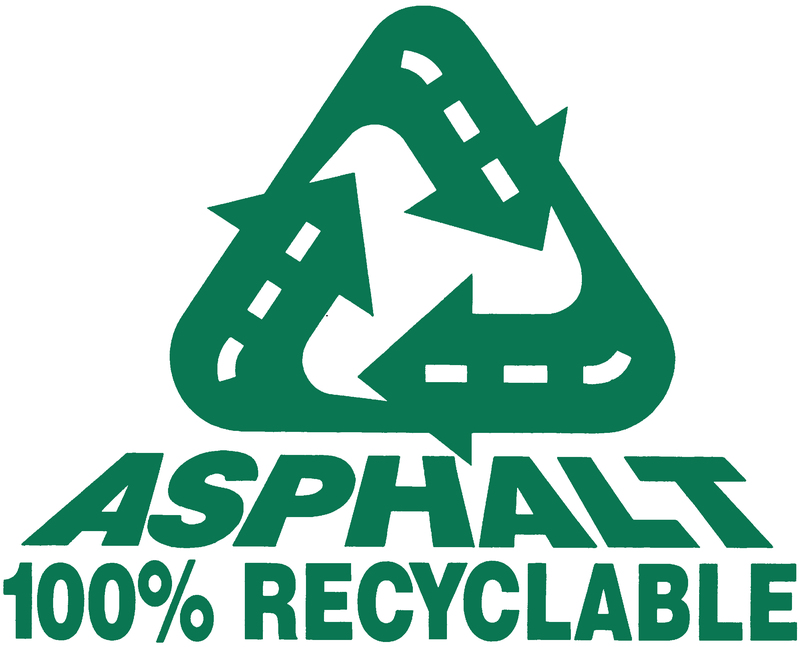 The goal is to demonstrate the asphalt industry's concern for environmental issues, detail practical methods undertaken to promote environmental stewardship within a company and emphasize the inherent recyclability of asphalt pavements. For more information on the Superior Asphalt's award-winning plant site and commitment to environmentally responsible operations view the news release here. Gerken Materials Inc., of Napoleon, Ohio, is the winner of the 2017 Outstanding Website Award. The Outstanding Website Award recognizes website designs that promote the use of asphalt and the asphalt pavement industry. Websites are judged on the use of industry messages and efforts to educate the public about the asphalt pavement industry. Visit the award-winning website. For more details on Gerken Materials' brand awareness process and website content view the news release here. Congratulations to both companies for winning these awards! The Perpetual Pavement Award is an excellent opportunity to highlight asphalt's long-life characteristics. The award honors state and local agencies that have had the foresight to design and build asphalt pavements which have long life, are cost-effective, and provide the comfort and convenience that the traveling public expects. The deadline for nominations is December 1, 2018. Applications will be reviewed by engineers at the National Center for Technology (NCAT). Each winning agency will receive the prestigious Perpetual Pavement crystal obelisk and will have its name engraved on a special plaque at the National Center for Asphalt Technology. To download the 2018 Perpetual Pavement Award Nomination Form, click here. Questions may be directed to contact Michelle Kirk at 904-446-0758 mkirk@asphaltroads.org. The Asphalt Pavement Alliance (APA) is holding a series of in-depth training and educational seminars about the unique requirements of commercial and industrial parking lot installations. From construction to maintenance, materials to proper pavement design, learn what is required to keep your facility in tip-top shape. This course is tailored for those who own, manage, specify, consult, construct, or design commercial and industrial parking lots. Sessions will be held Oct. 24-25 in Kansas City and Jan 9-10 in Minneapolis. Attendees can earn up to 10 PDHs. Click here for more information and to register. This certification is required for Mix Designers who submit MDOT designs. For Flyer and registration information, click here. One of the key differentiating attributes of asphalt is its speed of construction. To quantify this benefit, the Pavement Economics Committee (PEC) funded a research project that is the first nationally-transferable, comprehensive, and inclusive set of data quantifying the costs of traffic delay, work zone crashes, and interruptions to local business operations. Learn from Auburn University's Dr. LaMondia about the team's research and results highlighted through a case study. In this second webinar, Dr. Lamondia will educate participants on an Excel workbook that is customizable to location, road type, and season. This tool can quickly and in a statistically significant manner, calculate the impacts of construction, and run scenarios to improve. Thinlays are a widely used pavement preservation treatment that delivers the excellent performance required by pavement managers and agencies. This webinar will focus on proper application of Thinlays to achieve the highest performing pavement preservation solution for pavement owners. Mary Robbins of the Ohio Research Institute for Transportation and the Environment, Dr. Nam Tran of NCAT, and NAPA's Dr. Audrey Copeland recently published their joint research in the Transportation Research Record: Journal of the Transportation Research Board. Initial performance period is an important input in life-cycle cost analysis (LCCA). Therefore, an objective of this study was to determine actual initial performance periods, before first rehabilitation, for asphalt and concrete pavements using actual field data from the Long-Term Pavement Performance (LTPP) program. The findings suggest assumed initial performance period values used for LCCA often fail to adequately represent the actual age of asphalt pavements at the time of first rehabilitation, while they are generally representative of actual concrete pavement age at the time of first rehabilitation. Often the design of porous asphalt pavements is focused on how well the pavement will handle water, not traffic. For most parking lots and light-duty surfaces this may be a reasonable approach, but as public agencies look to use full-depth porous asphalt pavements on roadways a traditional structural design methodology is needed. Written by Charles W. Schwartz, Ph.D., and Kevin D. Hall, Ph.D., P.E., with the support of the NAPA-SAPA Pavement Economics Committee's Pavement Design Task Group, Information Series 140: Structural Design Guidelines for Porous Asphalt Pavements discusses the structural design procedure for porous asphalt and the required inputs using the AASHTO 93 design method. IS-140 is available as a PDF download through the NAPA store.